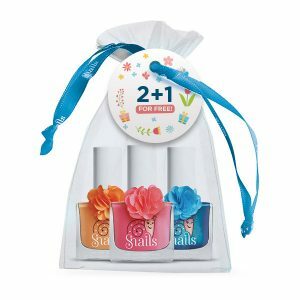 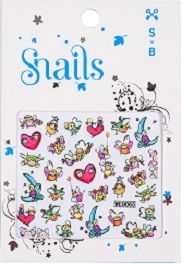 Snails® the safest nail polishes for children, one year after their first campaign with “Hope”, supporting women with Breast Cancer, are now throwing light on the serious problem of child abuse. 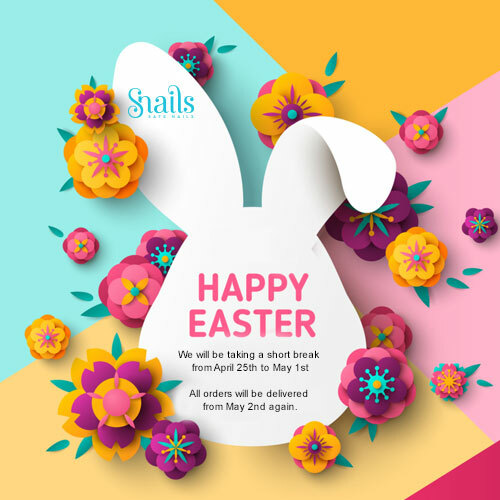 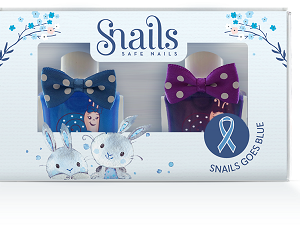 In collaboration with EAC Network, a diverse social service agency that empowers, assists and cares for people in need, Snails® support Child Abuse Prevention with the creation of the special line “Snails Goes Blue” . 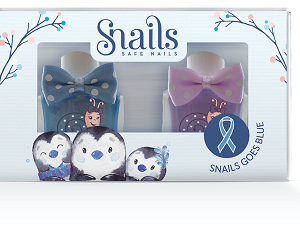 Four new shades of Snails® are wearing their blues to spread the word, with the characteristic blue ribbon and the sign #goBlue, raising awareness on this important issue still arising today.